Social Enterprise Mark CIC is pleased to be supporting the UK Social Entrepreneur Index , a BQ campaign sponsored by UBS, designed to celebrate those entrepreneurs doing things a little differently to make our world a better place. The UK Social Entrepreneur Index is a celebration of entrepreneurs running businesses with social purposes, with the aim of providing recognition whilst also acting as a benchmark for good practice to inspire the next generation. The index delivers inspiring content through a digital campaign and a series of events and debates across the UK by shining the spotlight on the UK’s most purpose driven entrepreneurs and their businesses. 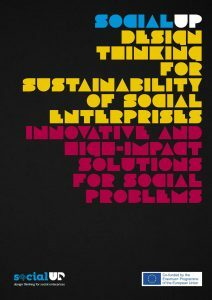 Eligible social entrepreneurs will work in any field and be tackling a social or environmental issue at any scale from local to international. 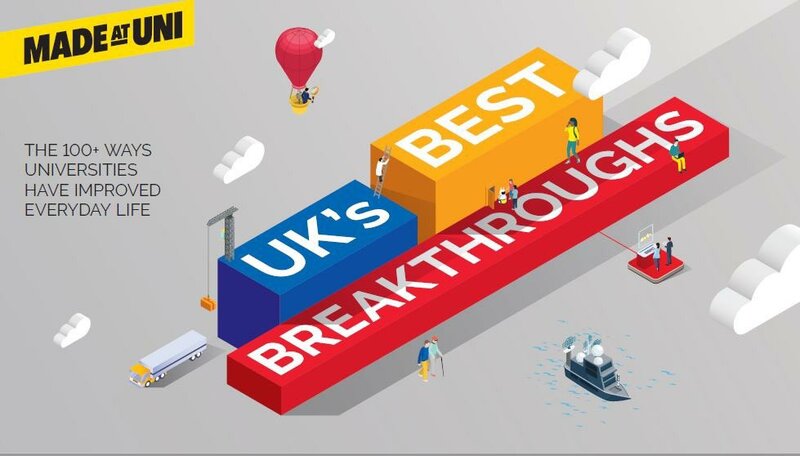 Entrants will act as beacons of inspiration for others to encompass positive social impact, and the Index will be a celebration of social entrepreneurship across the UK. 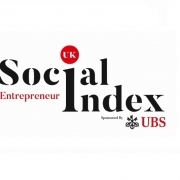 Nominations for the inaugural UK Social Entrepreneur Index sponsored by UBS are open now. 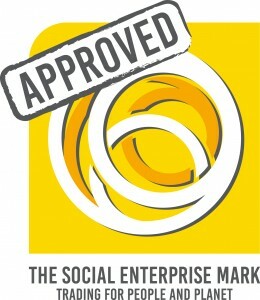 Submit your nomination at www.socialentsindex.co.uk. 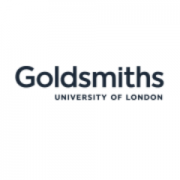 Do you want to be part of a new and exciting pilot programme? 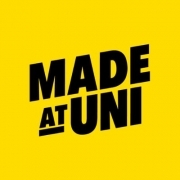 Be part of the National Union of Students’ new programme – Placements for Good – and work with university level students and increase capacity to progress sustainability. 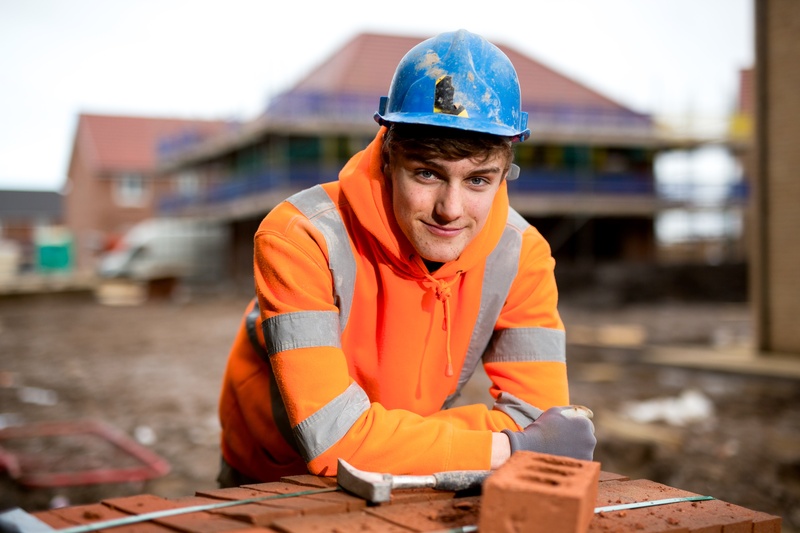 In 2019, there are a limited number of universities and colleges taking part in the South, South West and South Wales. During this pilot year, placement partnerships are only open to students from participating institutions to ensure we can provide high quality support and development opportunities. For more information or to discuss this further, get in touch with Meg Baker – Senior Project Officer, Education for Sustainable Development. 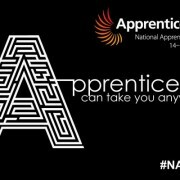 To register, please visit: http://forgood.nus.org.uk/placements. 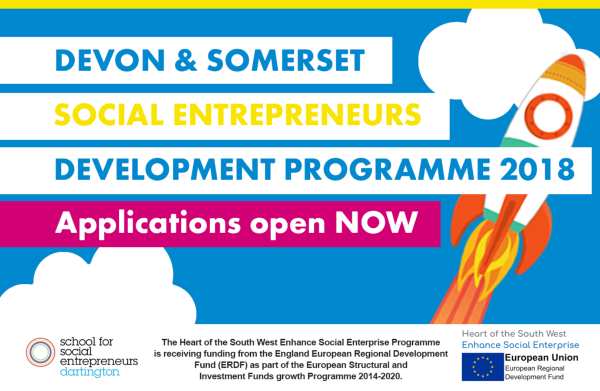 The School for Social Entrepreneurs Dartington is delighted to announce that applications are now open for two innovative new courses for social entrepreneurs in Devon and Somerset. 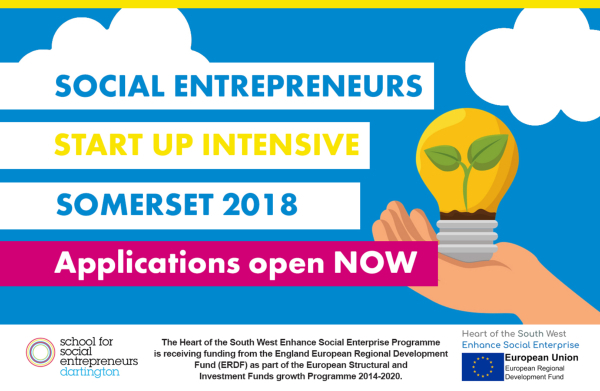 The courses are fully funded and provide a fantastic opportunity for social enterprises, charities, community businesses and third sector organisations that are looking to start or develop in the region. 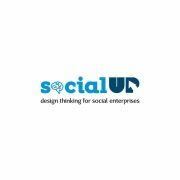 This fully funded three-day start-up intensive programme is for anyone with a social enterprise idea and will give an introduction to starting and setting up a social business, giving the extra support needed to get started. 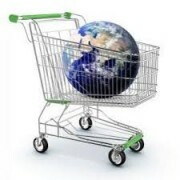 Students will learn about business planning, identifying customers and start to think about measuring social impact. Day-long intensive study sessions with social enterprise witnesses, and expert workshop sessions will provide specialist tools and techniques. “It’s been a really great process and we’ve come out of it, all of us, I think, very much stronger.” Sarah Milner-Symonds – The People’s Plot/Eat Festivals. SSE Fellow – Somerset. The course will be run in Taunton. Full programme details and application form can be found here. 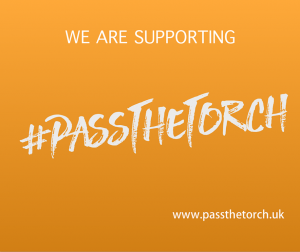 This is a fully funded 8-day programme, worth over £2,500 in development support. It is a course for established enterprises to delve deeper and spend time exploring their revenue generation options and strategy. “The networking has been fantastic, worth its weight in gold… The action learning sets are fantastic, and we’re continuing with ours in Somerset now that the course is over.” Kris Scotting – Founder, Seed of Hope, SSE Fellow – Somerset. The course will be run in Exeter. Full programme details and application form can be found here. 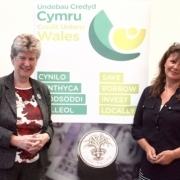 Leading Welsh politician Jane Hutt AM is calling on people in Wales to join her in making the country a ‘credit union nation’. 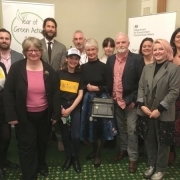 Ms Hutt joins existing Credit Unions of Wales Patron, actor Michael Sheen, and the appointment will see the two collaborate to raise awareness and membership of the country’s 18 not-for-profit, community savings and affordable loans providers across Wales. Credit Unions of Wales work to improve the financial wellbeing of those in their communities. Well-known for offering a more affordable alternative to high interest lenders, Credit Unions of Wales have forged strong links with more than 140 employers across Wales. 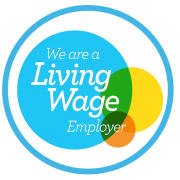 Organisations involved in the Payroll Partner scheme work to improve the financial wellbeing of staff by offering the opportunity to save or repay a loan with a credit union directly from their salary. For further details about Credit Unions of Wales visit www.creditunionsofwales.co.uk. 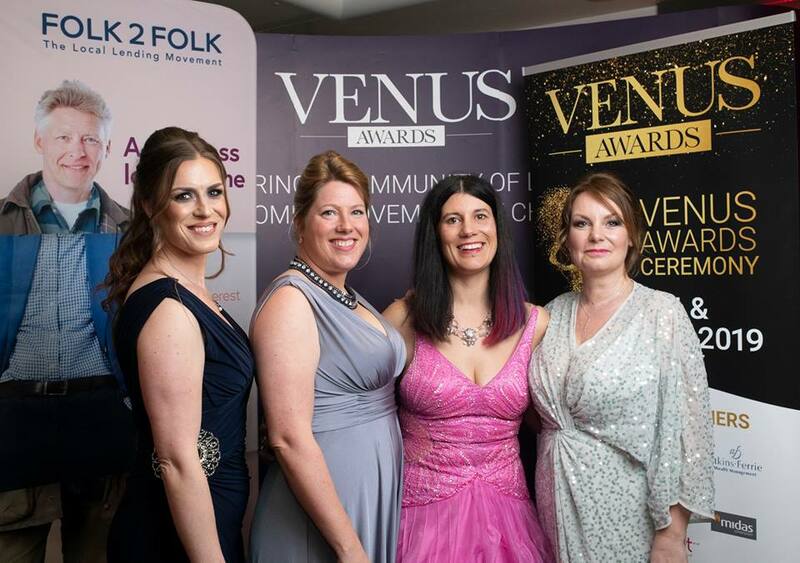 Nominations for the first NatWest WISE100 (Women in Social Enterprise) have recently opened to recognise 100 leading women in social enterprise. 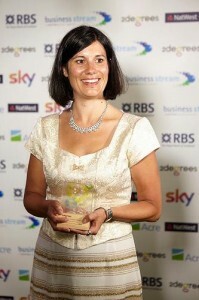 Created by the NatWest SE100 Index, the WISE100 highlights the leading role of women in the social enterprise sector. The social enterprise sector outperforms other sectors when it comes to gender equality, with 40% of social enterprises led by women, compared with just 6% of the companies on the FTSE1001. While more work remains to be done to create true gender equality in business, it’s encouraging that the social enterprise sector is leading in this respect. 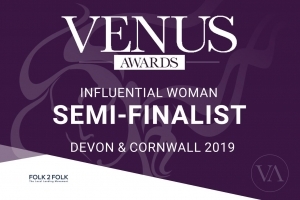 The WISE100 will recognise the valuable contribution women make to the social enterprise sector and will highlight their achievements to the social enterprise and wider business community. 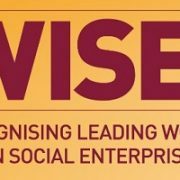 The WISE100 list is open to anyone who wishes to nominate one or more women working in the social enterprise sector. Nominations can be made via the NatWest WISE100 website. It is also possible to self nominate and nominations are free to place. Nominations close on 31 August 2017. 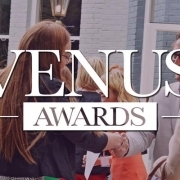 Entries will be judged on the merit of the nomination and will address how inspiring and impactful the nominee is. 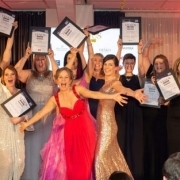 An all-female judging panel will agree a final WISE100 List and those selected will be invited to a celebration of their achievements in London in October. 1. 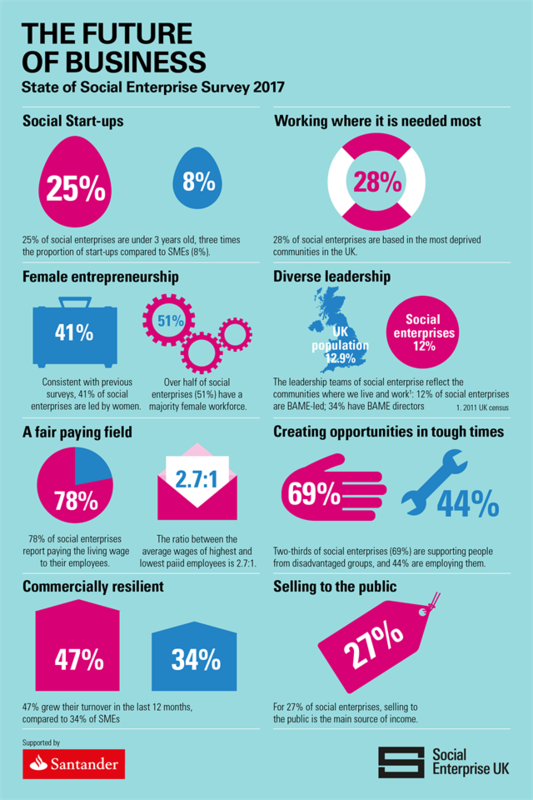 State of the Social Enterprise Report 2015, Social Enterprise UK. 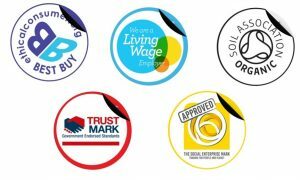 Now in its 7th year, the leading market intelligence resource for social ventures, the NatWest SE100 Index, has announced the shortlist for its 2016/17 Social Business Awards. 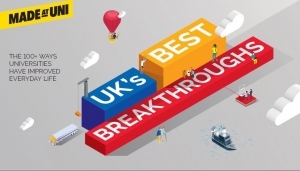 Revealed at the annual Good Deals social investment conference on 13th November, a total of 26 organisations have been shortlisted, celebrating the most inspiring and effective social enterprise leaders, and the strength, impact and resilience of the sector in the UK. The shortlist includes Social Enterprise Mark holders Furniture Resource Centre (FRC), Manor House Development Trust, and Pembrokeshire FRAME Ltd.
Each of these organisations have been shortlisted for the Impact Champion award, and Simon Donovan of Manor House Development Trust has also been shortlisted for the Leadership Champion award. The winners will be announced at a special ceremony in London on Thursday 19th January 2017, to celebrate the achievements of all the fantastic social change makers on the Index. Awards winners will receive a professionally produced winners film about their organisation to use across future PR and marketing collateral, a beautiful SE100 trophy created by social enterprise artists, and a share of cash prizes totalling £6,000. 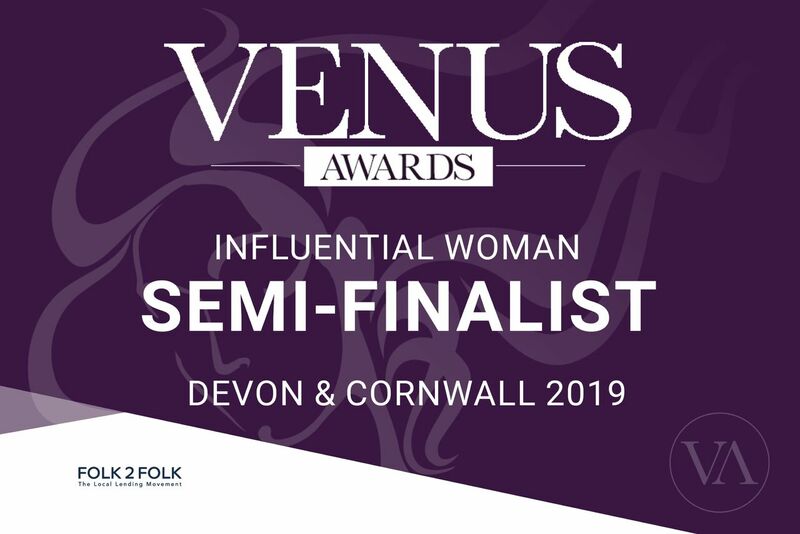 Best of luck to all of the shortlisted organisations. For more information please visit the SE100 website. 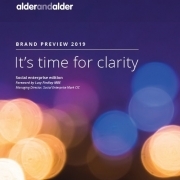 A landmark Social Impact Survey, designed to uncover awareness and attitudes to impact measurement and maximise social performance among frontline social ventures, launches today across the UK. 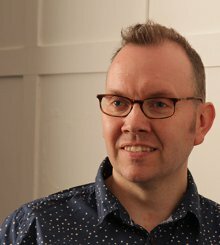 The Buzzacott Social Impact Survey is the first ever in-depth survey of UK charities and social enterprises to establish what they are doing to measure their social impact and maximise their social performance, and what they think about the challenges and opportunities around impact measurement. 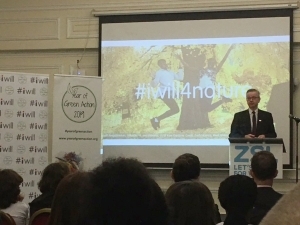 The initiative is being led by a consortium of organisations committed to building the capacity and impact of the social sector, including Buzzacott Chartered Accountants, The Good Economy Partnership and Matter&Co. Results from the Buzzacott Social Impact Survey will be published in a special report and film, to share the learning and help improve the way in which social ventures are measuring and demonstrating social value. Questions and analysis will focus on how impact measurement supports organisations in delivering on their mission, exploring how well social ventures understand the concept, what information needs drive data collection, the tools they have used to do it, the level of resource they commit to it, how they verify their findings, the issues or barriers they have faced, and the changes they would like to see to current approaches. 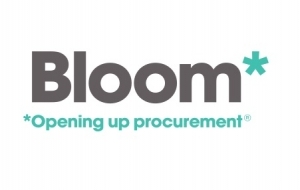 The survey also asks about the value of impact information to their organisation both internally, in terms of operational and strategic decision-making, and externally, in terms of applying for funding or investment. The survey will run for six weeks, closing on 19th September. Initial results will be shared at the Good Deals social investment conference in November, with a full report published in early 2017. The survey is confidential and will take less than 10 minutes to complete. Please click here to take part in the survey. WANTED: Bosses on a mission! A talent search with a difference got underway today to find the UK’s best social enterprise bosses. Thousands of charities, social enterprises and responsible businesses are being encouraged to nominate their most inspiring and effective leaders, in the annual NatWest SE100 Social Business Awards. The search for leaders driving business success for a social purpose forms the brand new category of ‘Leadership Champion’ in this year’s SE100 Social Business Awards, which also celebrate star performers in six further categories – from ‘Growth’ to ‘Storytelling’. Also new this year is the NatWest Customer Champion, which will see relationship managers across the bank nominate their own stars from the thousands of charity and social enterprise customers they support. The NatWest SE100 Social Business Awards are open to all social ventures across the UK. To enter, organisations need to have completed their profile on the SE100 Index, including providing standard financial information and details on their social impact. Once completed, organisations are automatically entered in to the Growth, Impact and Trailblazing Newcomer awards. The Resilience, Storyteller and Leadership awards require completed nomination forms, available to download here. The NatWest Customer award shortlist will be drawn up by the bank. The deadline for nominations for the Resilience, Storyteller, Leadership and Customer awards is midnight on Sunday 25th September. Organisations must sign up to the Index and complete their profile by the same deadline to be eligible for the 2016 NatWest SE100 Social Business Awards. Shortlisted organisations will be announced at the Good Deals conference on November 14th and 15th, the UK’s leading Social Investment conference. All shortlisted organisations will be invited to attend this event for free to celebrate the success of the sector. Visit https://se100.net/awards for further details on how to take part. 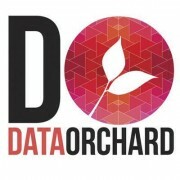 Social enterprise Data Orchard CIC has found there are social sector organisations, big and small, using data to do powerful and transformational things. 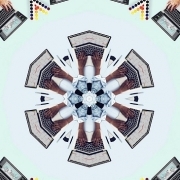 These organisations say data is helping them be smarter, more effective, and more influential. More often though, social entrepreneurs and charity leaders admit that they know data is important and valuable, but they just don’t know how to make it work for their cause and their business. 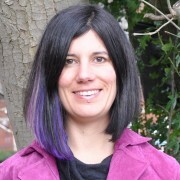 They are grappling with all kinds of data (e.g. from spreadsheets, databases, CRM systems, survey tools, web and social media analytics…plus other research and information sources.) Indeed, some still collect data on paper forms and keep them in filing cabinets. The Data Evolution project is trying to find out where social enterprises are at on the data journey, what challenges are faced and what help they need? 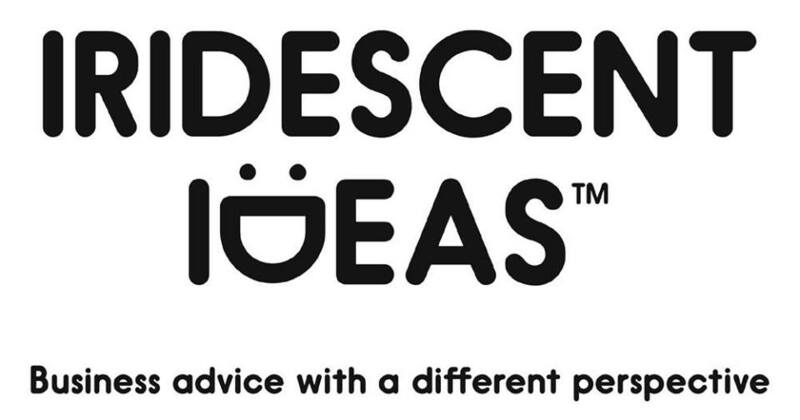 They are asking social entrepreneurs to complete a very short (5 minutes) online survey. There is the chance to win £100 for your social enterprise and the opportunity to access a more detailed analysis of where your organisation stands with data. 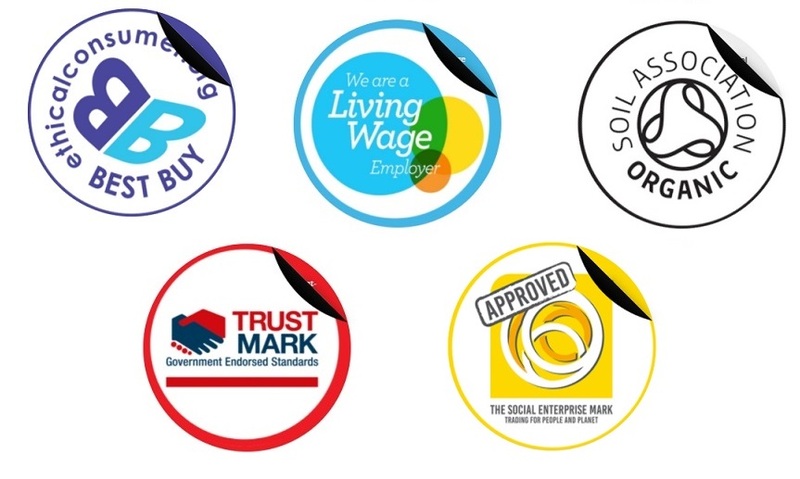 https://www.socialenterprisemark.org.uk/wp-content/uploads/2016/07/Data-Orchard.jpeg 400 400 Sophie Short https://www.socialenterprisemark.org.uk/wp-content/uploads/2016/06/sem-logo-new-300x121.jpg Sophie Short2016-07-12 12:48:212016-07-12 12:48:21Is Social Sector Data Driven? Or Data Driven Mad? 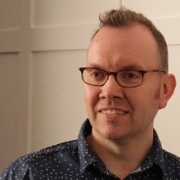 Social Enterprise Network (SEN) recently welcomed Rob Wilson MP, the Minister for Civil Society, to address its new Social Economy Panel in Liverpool, on Thursday 12th May. 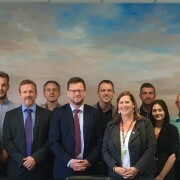 Leading figures in the local social economy, including representatives from the Heseltine Institute, Social Enterprise Mark holder Fusion21 and others, met with Rob Wilson MP, to discuss the growing social and community enterprise sector in the City Region – and how this can be developed and sustained for the future. 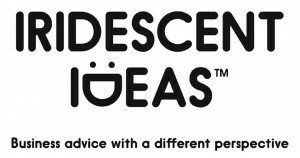 SEN has led the way on social economy issues in the region in recent years, and in the last 12 months has launched its Masterclass programme of business advice for social entrepreneurs, in addition to the Liverpool Soup project to fund new social projects. Its new Social Economy Panel will be meeting regularly to work on new initiatives for the region, whilst also promoting the brilliant work being done by social enterprises locally. While in Liverpool, Rob Wilson MP took the opportunity to promote the Cabinet Office’s current call for evidence on mission-led businesses. The Social Economy Panel is making a joint submission to the call for evidence, and is keen to ensure that the mission-led business review is an opportunity to help the social enterprise sector in Liverpool and beyond. 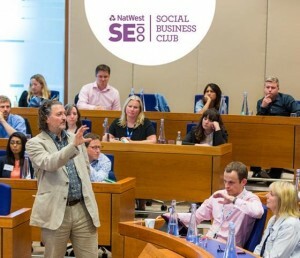 Last night saw the launch of the NatWest SE100 Social Business Club, the new business support club offering insight, inspiration, expertise and peer learning for social enterprises on the NatWest SE100 Index. The Club was launched at an evening event hosted by NatWest to announce this year’s Cabinet Office Social Investment Awards, which highlight the impact of social investment and celebrate UK’s world leading social investors and social enterprises. 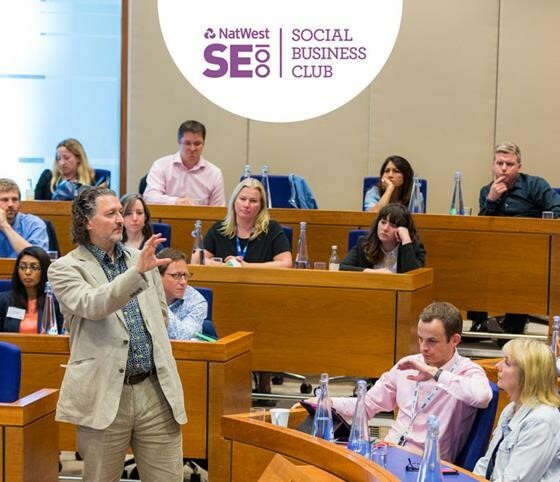 Open to all social ventures signed up to the NatWest SE100 Index, the NatWest SE100 Social Business Club aims to help social businesses get the advice and resources they need to thrive and grow – from investment and leadership to HR and marketing. It was born out of a desire to offer greater support to the community of more than 1,300 social ventures that has grown up over the years as the NatWest SE100 Index has developed. Have you applied for funding from grant-making trusts and foundations? If you have applied for, or received funding from grant-making trusts and foundations, Foundational Thinking invite you to complete their short survey, based on emerging themes from a literature review of the practice of grant-making trusts and foundation. 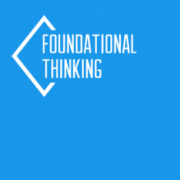 Foundational Thinking is a Flip Finance project set up to explore the ways in which grant-making trusts and foundations can better serve the needs of the organisations they support and, ultimately, their mission. 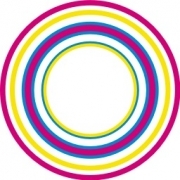 The organisation has embarked upon an independent, comprehensive and critical overview of the evidence of the practices of grant-making trusts and foundations in the UK, and is keen to support this with a snapshot of the perspective from organisations which receive funding from grant-makers. 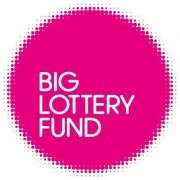 It is therefore on the look-out for charities, community group, social enterprises and other organisations who have applied for, or received, funding from grant-making trusts and foundations to complete a short survey as part of its research. The questions are based on emerging themes from our review of the evidence. 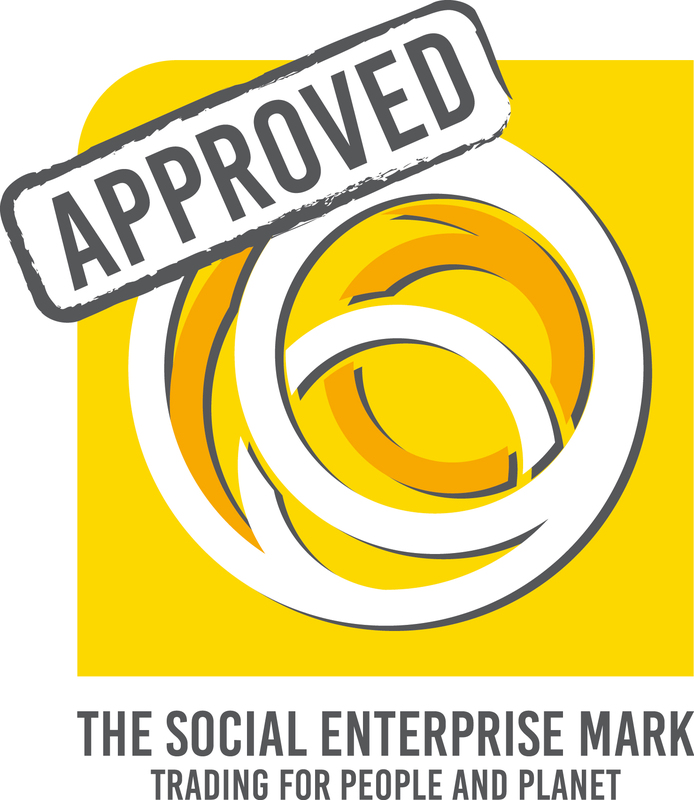 https://www.socialenterprisemark.org.uk/wp-content/uploads/2016/03/Foundational-Thinking.png 219 221 Sophie Short https://www.socialenterprisemark.org.uk/wp-content/uploads/2016/06/sem-logo-new-300x121.jpg Sophie Short2016-03-07 15:25:282016-03-07 15:25:28Have you applied for funding from grant-making trusts and foundations? New figures released this week by the NatWest SE100 index highlight impressive growth from the UK’s social enterprise sector this year, with an average growth in turnover of 80%. The latest data report shows that the social enterprise sector continues to grow at an impressive rate – last year, the average growth in turnover was 72%, and this year, the figure has risen to 80%. The Index’s top 100 fastest growers achieved a staggering 951% growth, bringing the average growth rate over the past three years to 824%. These figures far outstrip average sales growth posted by Britain’s top 100 private companies, who managed an average growth figure of 65% over the past three years. On the 10th anniversary of the Office of the Regulator of Community Interest Companies (CICs), the index also highlights the success of the CIC as a legal structure for social ventures, with 57% of enterprises on the index registered as CICs. CICs registered on the index are generally smaller and faster growing than other types of enterprise. Today, 92% of CICs on the Index have a turnover of £1million or less, but have achieved an average growth of 102%. 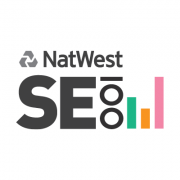 The NatWest SE100 Index is open to any organisation delivering social, environmental or economic change. 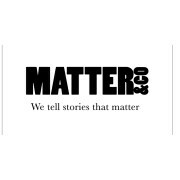 It is created by Matter&Co in partnership with the Royal Bank of Scotland and RBS Inspiring Enterprise, with the support of Buzzacott and the Social Value UK. For more information visit se100.net. To view the NatWest SE100 Annual Report 2015, please visit the SE100 website. The series started on Tuesday 12th January, with a lecture from Dave Boyle, Director of The Community Shares Company, on ‘Community Shares, or, Social Investment by the rest of us‘. The series continues throughout January, February and March, with the last lecture on Tuesday 15th March. Speakers include former Director of Policy and Research at NCVO Margaret Bolton, and CEO of London Early Years Foundation June O’Sullivan MBE.